Featured amenities include a business center, a 24-hour front desk, and a safe deposit box at the front desk. Event facilities at this hotel consist of a conference center and a meeting room. Free self parking is available onsite. 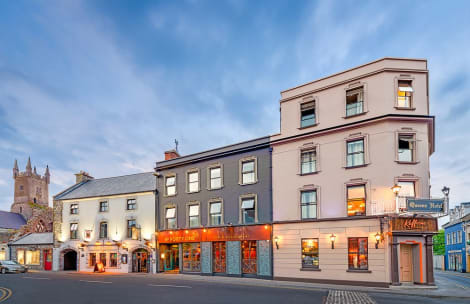 With a stay at Old Ground Hotel, you'll be centrally located in Ennis, just a 4-minute walk from Clare Museum and 8 minutes by foot from Ennis Friary. This 4-star hotel is 14.8 mi (23.8 km) from Bunratty Castle and Folk Park and 0.8 mi (1.3 km) from Ennis Golf Club. Featured amenities include a computer station, express check-in, and express check-out. Planning an event in Ennis? This hotel features 15069 square feet (1400 square meters) of event facilities. Free self parking is available onsite. Pamper yourself with onsite massages or enjoy recreation amenities such as a fitness center. Additional features at this hotel include wireless Internet access (surcharge) and an arcade/game room. Glencove B&B is located in quiet surroundings on the outskirts of Ennis, County Clare. Guests will be provided with Irish hospitality and professional service throughout their stay. There is a comfortable lounge to relax in after a day of activities. Each morning guests can enjoy an Irish or continental breakfast in the stylish breakfast room or contemplate the day in the garden. The guest rooms are all en-suite and comfortably furnished to ensure a good nights rest. This bed & breakfast features mountain biking on site. lastminute.com has a fantastic range of hotels in Ennis, with everything from cheap hotels to luxurious five star accommodation available. 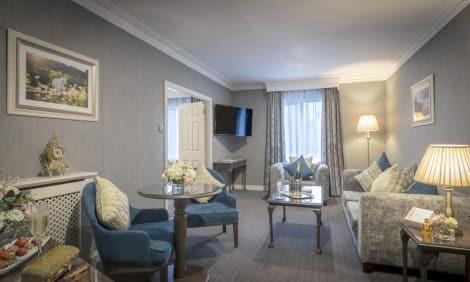 We like to live up to our last minute name so remember you can book any one of our excellent Ennis hotels up until midnight and stay the same night.